Princess Ball at the Mall! May 7, 2019 11:00 a.m. to 12:00 p.m.
May 14, 2019 11:00 a.m. to 12:00 p.m.
No registration required. Discount applies to event timing only. • Digital X-rays used • Insurance friendly • Patients seen on time • Warm and friendly staff. Stop in and meet us! appy Mother’s Day to all of you lovely readers! Whether your family is planning an elaborate brunch out or a classic, yet cozy breakfast in bed, or your partner is giving you a day of relaxation, we hope you have a day that truly celebrates you. If you’re a brand-new or expecting mom, you’ll want to turn to “Is That Normal?” (p. 12), in which we explore the various changes—physically, hormonally, emotionally—your body will go through postpartum. You’ll find out what’s normal and when you should seek help. If you’re a mom of a teenager or two (are your teens putting you through the paces? ), we discuss how you can encourage your child to nix the bad habits he has likely adopted and replace them with healthy ones (p. 14). As summer inches closer, we just seem to always have camp on our minds—and we’re getting more and more excited! If you’re looking for a dance, art, theater, sports, academic enrichment, music, or STEAM camp for your little one, you’ll want to check out our specialty camp descriptions (p. 36) and the at-a-glance comparison chart (p. 38). And to help you with the camp planning process even more, we’re re-issuing The Camp Planner by Rockland•Bergen Parent, which is full of great articles, descriptions of area camps, camp comparison charts, and open house schedules. So, if you’re looking for a last-minute registration, you won’t want to miss this ultimate, all-in-one, camp resource! You can find it at nymetroparents.com/campguide/rockland beginning April 17! With spring in full force (are you sneezing up a storm too?) and spring cleaning on our minds, what better time to get your home a little organized? From the bathroom to your kids’ rooms, experts share insider tips to keep your living space clutter-free (p. 34). Happy organizing! Ask about payment plan options! Happy BEE Day! Reserve your PRIVATE Birthday Party NEW at Tumble-Bee Open Gym NOW Open to Public Tues, Wed, Thurs: Call for more info. Is your child struggling at home or school? Special Programs in Occupational Therapy Services SPOTS provides caring and personal occupational therapy services for children from toddlers to teens. We are committed to fostering growth, self-esteem and a sense of accomplishment while improving: • Sensory Processing Skills New • Fine and Gross Motor Skill Development Orangeburg • Handwriting Remediation Location • Social and Coping Skills • Attention and Self-Regulation Skills We offer comprehensive evaluations, individual therapy as well as Social Skills Groups and Handwriting Groups. Call us today for a complimentary phone consultation to see how occupational therapy can help your child. Games, prizes, food trucks, face painting bounce house and much more! WHY IS THIS EVENT IMPORTANT? The Center has not only become a safe haven for numerous families and children but also for these families’ pets. aving a child with a life-threatening allergy is constantly scary. As much as you can prepare yourself for the worst, it adds extra comfort to know the other adults in your child’s life are also prepared to act in an emergency situation. Purvi Parikh, M.D., an allergist with Allergy & Asthma Network, shares what parents of children with a life-threatening allergy should do to ensure their child is safe at all times—even when the child isn’t with the parent. Create an action plan. Once it’s determined your child has a life-threatening allergy or asthma, be sure to talk to her physician about constructing an action plan, Dr. Parikh suggests. This should detail what an allergic reaction or asthma attack would look like, as well as what to do at the time, what medicines to administer, and when to call 911.
advocate. With the help of your physician, teach your child to know what feelings indicate she is having a reaction. This can mean itchy skin or rash, difficulty breathing, vomiting, tummy aches, and more, depending on the child. Empower your child to speak up in these situations—and to speak up about any allergies when necessary. Ensure emergency medications are always available. All caregivers should have access to emergency medications. A doctor can generally prescribe EpiPens in bulk, according to Dr. Parikh, so give one to your child’s babysitter, teachers, coaches, and grandparents—and give one to your child to carry. Whomever is given the responsibility of holding the EpiPen should know how to properly use it (there are instructional videos online). If the child suffers from asthma, he must have quick-relief medication on hand and with all caregivers. Teach the child to use medications. While it is important for the adults in your child’s life to know how to administer emergency medications, it is equally, if not more, important for the child with the allergy to know how if she is older than 4, according to Dr. Parikh. This includes asthma pumps and antihistamines. Special gifts, clothing, jewelry, art AT SPECIAL PRICES! “[Thinning hair and breast engorgement] are usually normal, although we always check for other problems that could be causing them. It is incredibly common for women to have significant hair loss at about six or seven months postpartum,” Dr. Dweck says. “It’s a very common thing to go in the shower and have clumps of hair falling out.” Dr. Dweck says many women also worry about hemorrhoids and weight gain, as well as itchy C-section scars, but these issues are relatively common too. “I don’t want to call [these experiences] normal. I want to call them not abnormal,” she says. “Some people have a C-section and never get a scar. Some people never get hemorrhoids. It’s individual.” Lindsey Scharfman, M.D., echoes that hair loss, engorged breasts, some bleeding, and dependent edema, where the body swells bilaterally, are all normal conditions to experience after having a baby. Her patients at Crystal Run Healthcare in West Nyack experience a spectrum of postpartum issues that wind up being nonissues. Doctors agree that certain “normal” symptoms can morph into abnormal ones after birth, and new mothers need to watch their symptoms carefully. Bleeding, for example, is normal, Dr. Scharfman says, but only to an extent. “Bleeding should be like a period or less,” she says. “If you’re going through one pad a day, that’s normal. But if it’s one to two pads every hour, that’s not normal, and you need to go to [the hospital]. It could be a postpartum hemorrhage.” New mothers who experience severe dizziness upon standing, feel weak and cold, or have racing heartbeats could be anemic. And if one leg, for example, is more swollen than the other, that could signify a blood clot. If a woman experiences blurred vision, a headache that doesn’t go away with pain medication, or upper belly pain, she could have pre-eclampsia. All of these conditions require immediate medical attention. There are also potentially less serious physical abnormalities that Dr. Dweck says need to be discussed with your doctor. “When is it not normal? So, hair loss where it doesn’t seem to stop, or you’re having huge, big bald spots…That needs to be addressed by your physician to make sure it’s not something other than just typical postpartum hair loss,” Dr. Dweck says. “As far as the itchy scar, [you just need to make sure] there’s no infection, that there’s no underlying skin condition…Any questions or concerns about it being ‘right’…It’s worth a check with your OBGYN.” Olga Tusheva, M.D., an OBGYN at Montefiore Nyack Hospital in Nyack, mentioned breast pain as another issue that could become abnormal. “If one breast is significantly bigger than the other, if there is swelling or redness, tenderness, [or if changes are] not proportional to [breast] appearance, then the woman should [see her OBGYN] to make sure everything is normal,” Dr. Tusheva says. Beyond bodily changes, new mothers should monitor their emotions and understand the signs of postpartum volatility. Dr. Dweck prefers not to call this issue “postpartum depression” because that terminology can be pejorative. She says it is one of the challenges women are most concerned about, after postpartum weight gain. “The emotional volatility that comes about after having a baby, in a good way and in not such a good way, is notable,” she says. “And this is combined with sleep deprivation, which doesn’t help. So, it becomes a concern: How am I going to manage everything?” Certain populations of women, Dr. Dweck says, are more prone to developing postpartum volatility. Among those most vulnerable are first-time mothers, women who are part of underserved populations, and women who have a history of anxiety or depression during pregnancy. If you start feeling down after having your baby, seek help as soon as possible, and try to get some sleep—it’s vital in managing these feelings, Dr. Dweck emphasizes. Dr. Tusheva says “post-baby blues” are very common because mothers are often overwhelmed when they bring the baby home and the responsibilities of motherhood are fully realized. “It can happen to any woman, whether it’s her first time having a baby or third or fourth time being a mom,” she says. “We all can be overwhelmed by other people, the social pressure, [feeling] like we need to be the best mother we can be, and the attention imposed on us by our family—our moms, our husbands, mother-in-law, and other people who care about us.” But when post-baby blues stick around for longer than a short while, they can become more serious. It is imperative to seek medical help. “Once in a while the symptoms can persist and reach postpartum depression, which can be a very dangerous condition,” Dr. Tusheva says. “If she feels down, overwhelmed, stressed, if there’s any thought of harming herself or baby, all of those symptoms should be discussed with an obstetrician or a primary care physician or a psychiatrist. Someone who can help [her] feel better, as opposed to leaving the condition untreated and having it get worse.” Hospitals conduct postpartum screenings before sending women home with their new babies, but Dr. Tusheva says every woman should be aware of what PPD could potentially look like. Many things contribute to how a woman is feeling after giving birth, such as sleep, the baby’s health, the baby’s sleep patterns, the availability of support at home, socioeconomic status that relates to available support, or a history of anxiety or depression. “If a woman is finding herself feeling helpless, hopeless, if she is catching herself thinking any type of thoughts concerning harming the baby or giving the baby away or how much her life would be easier without the baby, if she finds herself just being sad and upset,” Dr. Tusheva says, “I would say for days in a row as opposed to moments of temporary feelings or temporarily upset, then all of those are the concerning factors for developing PPD.” Treatment for postpartum depression varies on an individual basis. The most important thing to do is seek help so your doctor and psychiatrist can help you feel better, sooner. We are excited to now offer Acceledent to our Patients. 305 W. Grand Ave., Suite 100, Montvale 201-746-9474 bearbrookdentalcare.com info@bearbrookdentalcare.com We are multispecialty dental practice with our adult dentist, Dr. Kiwon Lee, and our pediatric dental specialist, Dr. Tommy Lee. We provide comprehensive dental care, from toddlerhood through adulthood, in the most technologically advanced and comfortable environment. Dr. Kiwon Lee also expertly treats snoring and obstructive sleep apnea with dental appliances. Dr. Varsha Reddy, Dr. Alexandra Delfiner, Dr. Michael Ayoub, Dr. Keerthi Vittal 99 Dutch Hill Road, Suite 1100, Orangeburg 845-359-8080 cdofpalisades.com As a board-certified pediatric dentist, Dr. Varsha Reddy and her team of specialists are experts in pediatric oral health care. Dr. Reddy has worked closely with children with special needs and has helped them have positive experiences at her office through her individualized desensitization program. Sherri Alpert, D.D.S. 2 Executive Blvd., Suite 307, Suffern 845-918-1801 dentalwellnessofsuffern.com dentalwellness@optonline.net Dr. Alpert now offers drill-free, needle-free dentistry with the Solea CO2 Laser. Her practice offers comfortable cosmetic dentistry for the entire family including implants and full-mouth reconstruction if necessary. A parent herself, Dr. Alpert has a lot of experience working with children who are apprehensive about the dentist. 6 Medical Park Drive, Pomona 845-354-7233 kastinorthodontics.com drkastin09@yahoo.com Dr. Kastin prides his practice on conservative early treatment and cost-free childhood dental monitoring, enabling the most effective treatment possible, as well as being a knowledgeable, compassionate clinician and friend. State-of-the-art materials and customized treatment planning for every patient ensures quality care. Certified Invisalign® provider. Complimentary initial exams. 603 S. Route 304, New City 845-638-6646 60 W. Ridgewood Ave., Ridgewood, NJ 201-447-2888 clementeorthodontics.com Our patients receive the benefit of experience, quality, and energy that comes with a multigenerational team. Dr. Michael Clemente and his daughters, Drs. Nicole Clemente and Marissa Clemente, work together seamlessly. They run a stateof-the-art practice with digital X-rays, private treatment rooms, impression-free Invisalign, Acceledent, and an experienced staff. Complimentary consultations. 2 Centerock Road, West Nyack 845-348-1100 crystalrunhealthcare.com Crystal Run Healthcare is a multispecialty medical group offering the convenience of more than 50 specialties and 400 providers. Our West Nyack facility offers high-quality health care with more than 20 medical and surgical specialties, an infusion center, urgent care, diagnostic testing services, on-site laboratory, diagnostic imaging, and women’s imaging. 5C Medical Park Drive, Pomona 845-414-9626 smithslittlesmiles.com drsmith@smithslittlesmiles.com We provide excellent dental care for children, infancy to adolescence, in a warm and friendly environment. As a mother of two, Dr. Smith knows how important it is for a child to be comfortable and stress-free during their dental visits. Most insurances accepted. Evening and Saturday hours and 24-hour emergency service available. Se habla Español. Dr. Angela Boudounis-Hatzis 265 N. Highland Ave., (Route 9W), Nyack 845-512-8434 nyackpediatricdentistry.com drb@nyackpediatricdentistry.com Nyack Pediatric Dentistry is a cutting-edge practice that delivers state-of-the-art oral health care to the pediatric population, from birth through their teenage years. We believe that good oral health begins with prevention. Using age-appropriate techniques, we accomplish this through education and motivation. We welcome patients with special needs. 515 S. Main St., New City 845-634-9603 ramaswamysmile.com; info@ramaswamysmile.com Our state-of-the-art practice specializes in helping kids, teens, and adults achieve a beautiful smile with orthodontic solutions tailored to suit each patient’s lifestyle and preferences. All patient work is expertly provided by Dr. Ramaswamy and is the best way to reduce emergencies and decrease treatment time. Invisalign certified. Most insurance accepted. 124 E. Ramapo Road, Suite 2, Garnerville 845-786-7736 sfojustsmile.com; sfojustsmile@gmail.com We provide individualized braces and Invisalign treatment to kids and adults. Dr. Ameeta Sachdev has been in the dental field for two decades with dual dental degrees, from India and U.S. She teaches orthodontics at St. Barnabas Hospital. Free consults, most insurance accepted, evening and Saturday hours, and 24-hour emergency service available. 140 Oak Tree Road, Tappan 845-367-7782 smilemorekidz.com Dr. Tong is a certified pediatric dentist, voted Favorite Kid’s Doc by NJ Family Magazine for five consecutive years. He specializes in treating children including those with special needs. Dr. Tong and his entire Smile team are focused on the specific dental needs of kids of all ages. 30 Ramland Road, Orangeburg 845-848-2228 spotsot.com SPOTS is a pediatric occupational therapy practice that provides services for toddlers to teens. We are committed to fostering a child’s self-esteem and confidence while utilizing their strengths to improve areas of difficulty, such as sensory processing skills, fine and gross motor skills, handwriting skills, social skills, attention, and self-regulation skills. 401 Market St., Nanuet Mall South, Nanuet 845-623-2553 tumble-beegymnastics.com Tumble-Bee Gymnastics and Fitness offers an education in gymnastics, fitness, and fun. Serving Rockland for more than 30 years, we offer programs for children ages 10 months to 12 years. Our staff is warm, caring, and well-trained to work with your child building confidence and self-esteem to achieve success in the future. @smithslittlesmiles on activities, participate in group discussions RocklandParent 19 and receive special notices. 23	We Can’t Believe It’s FREE! 25	Smarty Pants, WANT US TO INCLUDE YOUR EVENT? Our calendar is full of great ideas. First, here are the nine events we consider can’t-miss—the ones we’re taking our own kids to. Consider it your cheat sheet to the best of what’s great this month! WHEN: Saturday, May 4, 11am WHERE: Oscar E. Olsen Park, 157 W. Main St., Bogota, NJ AGES: All WHAT: In honor of Earth Day, Bogota Beautiful is partnering with local organizations and community volunteers to clean up and beautify different areas. WHY WE LOVE IT: This is a great opportunity for you to bring your kids and friends to meet others, learn about the environment, and make an impact on quality of life. WANT TO GO? 201-338-0875. bogotabeautiful.com. WHEN: Wednesday, May 8, 8pm WHERE: Bergen Performing Arts Center, 30 N. Van Brunt St., Englewood, NJ AGES: 9 and older WHAT: This mind-blowing spectacular showcases the jawdropping talents of a group of some incredible illusionists. WHY WE LOVE IT: Audiences will witness stunning acts of grand illusion, levitation, mind-reading, and disappearance. WANT TO GO? $39 and up. 201-227-1030. bergenpac.org. WHEN: Saturday, May 18, 10am-4pm WHERE: Main Street, Pine Bush AGES: All WHAT: The celebration includes live music, kids’ activities and games, and a variety of food, craft vendors, UFO novelties, live characters walking around, pop-up street performances, and interactive games. WHY WE LOVE IT: Check out some of the local businesses that decorate and offer theme-based specials for the fair! WANT TO GO? pinebushufofair.com. WHEN: Sunday, May 19, 10am-4pm WHERE: Bergen County Zoo, 216 Forest Ave., Paramus, NJ AGES: All WHAT: Find out what role zoos are playing to help endangered wild populations. WHY WE LOVE IT: Families can take zoo tours, check out artifact tables, and have fun with educational activities and crafts. WANT TO GO? $8; $5 children 3-14; $1 seniors 62 and older; Bergen County Resident: $4; $2 children ages 3-14; $1 seniors 62 and older; free for active military and children younger than 3. 201262-3771. co.bergen.nj.us. WHEN: Sunday, May 19, 3pm WHERE: South Orange Performing Arts Center, 1 SOPAC Way, South Orange AGES: Newborn to 5 WHAT: Laurie will showcase many fan favorites, including an array of tunes that encourage kids and grown-ups alike to get up and dance. WHY WE LOVE IT: At her solo shows, in addition to familiar hits, Laurie performs tunes with simpler arrangements, hand motions, and a cappella singing. WANT TO GO? $35-$75. 973-313-2787. sopacnow.org. WHEN: Tuesday, May 7, 5-6pm WHERE: West Nyack Office, 2 Centerock Road, West Nyack AGES: Adult WHAT: This program provides guidance and emotional support and helps prepare expectant parents for the arrival of their new baby. WANT TO GO? 845-703-6999. crystalrunhealthcare.com. WHEN: Thursday, May 16, 10am WHERE: Van Neste Square Memorial Park, On Maple next to Van Neste Square Memorial Park, Ridgewood, NJ AGES: All WHAT: Treat your kids to a day of hands-on adventure, featuring an opportunity to climb onboard to explore trucks. WANT TO GO? 201-445-2600. ridgewoodchamber.com. WHEN: Sunday, May 19, 1-5pm WHERE: Overpeck County Park, 40 Fort Lee Road, Leonia, NJ AGES: All WHAT: The festival will feature free kayaking and canoeing, a fishing derby, live music, children’s activities and entertainment, a wildlife presentation, and a birds of prey presentation. WHY WE LOVE IT: It’s a celebration of clean water and a healthy environment, with more than 50 green and nonprofit vendors, and food trucks! WANT TO GO? 201-968-0808. hackensackriverkeeper.org/earthfest. WHEN: May 24-27, Friday, 7pm; Saturday, 2pm and 5pm; Sunday, 1pm and 4:30pm; Monday, 5pm WHERE: Museum Village, 1010 NY-17M, Monroe AGES: All WHAT: Watch in awe as jugglers, high flyers, camels, and clowns do their thing! WHY WE LOVE IT: Tickets are affordable and showtimes are convenient for families with young kids! WANT TO GO? $12-$15. 845-782-8248. museumvillage.org. WHEN: Saturday, May 18, 10am-12pm WHERE: Smile More Kidz, 140 Oak Tree Road, Tappan AGES: Newborn to 5 WHAT: Learn about oral hygiene in a fun way and your child can receive a free cleaning from the specialized kids’ dentist. WANT TO GO? 201-294-1393. smilemorekidz.com. WHEN: Through May 23: Mondays, 10-11am WHERE: Teaneck Public Library, 840 Teaneck Road, Teaneck, NJ AGES: Newborn to 5 WHAT: Read stories and rhymes, sing songs, and do fingerplays and movement activities. WANT TO GO? 201-837-4171. teanecklibrary.org. WHEN: Sunday, May 12, 10am-12pm WHERE: Tenafly Nature Center, 313 Hudson Ave., Tenafly, NJ AGES: All WHAT: Celebrate Mother’s Day with a guided birding walk outdoors. WANT TO GO? $7; $5 members. 551-804-7794. tenaflynaturecenter.org. WHEN: Saturday, May 4, 10am-12:30pm and 2:30-5pm WHERE: Tenafly Nature Center, 313 Hudson Ave., Tenafly, NJ AGES: Adult WHAT: Forest Bathing is a guided mediation session that allows us to “bathe” our minds and spirits in the serene landscape. WANT TO GO? $85; $75 members. 201-568-6093. tenaflynaturecenter.org. WHEN: Saturday, May 4, 10am-1pm WHERE: The Nature Place Day Camp @ Harriman State Park, Harriman State Park, Bear Mountain AGES: 3-17 WHAT: Meet other outdoor-loving families, learn about local plants and animals, get in some good exercise in the fresh air, and enjoy your lunch with a beautiful view. WANT TO GO? 845-356-1234. thenatureplace.com. WHEN: May 4-5, Saturday-Sunday, 11am-4pm WHERE: The New York Botanical Garden, 2900 Southern Blvd., Bronx AGES: All WHAT: Celebrate The Burn Family Lilac Collection in all of its glorious forms, colors, and aromas with plein-air painting, music, guided tours, and talks. WANT TO GO? $30; $28 seniors 65 and older and students with valid ID; $18 children ages 2-12. 718-817-8700. nybag.org. WHEN: Sunday, May 5, 1-4pm WHERE: Tenafly Nature Center, 313 Hudson Ave., Tenafly, NJ AGES: All WHAT: See migrating waterfowl, turtles, snakes, and birds of prey making their nests along bridges on this fully narrated tour. WANT TO GO? $55; $45 members. 201-568-6093. tenaflynaturecenter.org. WHEN: Saturday, May 18, 1pm WHERE: Sterling Forest State Park, 116 Old Forge Road, Tuxedo Park AGES: 9 and older WHAT: Join for a presentation on compass use and map reading. WANT TO GO? 845-351-5907. parks.ny.gov. WHEN: Sunday, May 19, 1pm WHERE: Storm King Art Center, Old Pleasant Hill Road (for GPS enter 1 Museum Road, New Windsor), Mountainville AGES: All WHAT: Join an educator from the Hudson Highlands Nature Museum to learn about spotting local aviators. WANT TO GO? $18; $15 seniors ages 65 and older; $8 students and children ages 5-18; free for members and children younger than 5. 845-534-3115. stormkingartcenter.org. WHEN: Sunday, May 19, 10am-12:30pm WHERE: The Nature Place Day Camp, 285 Hungry Hollow Road, Chestnut Ridge AGES: 9-17 WHAT: This session will delve into open-fire cooking and participants will gain experience with different techniques. WANT TO GO? $45. 845-356-1234. thenatureplace.com. WHEN: Sunday, May 5, 2-4:30pm WHERE: The Nature Place Day Camp, 285 Hungry Hollow Road, Chestnut Ridge AGES: 5 and older WHAT: This session explores which spring plants are useful for survival techniques and how to process and prepare them for use. WANT TO GO? $25 per participant. 845-356-1234. thenatureplace.com. WHEN: Saturday, May 25, 1pm WHERE: Sterling Forest State Park, 116 Old Forge Road, Tuxedo Park AGES: 5-17 WHAT: The day will begin with a short hike from the Visitor Center to Laurel Meadows pond where you will net plants and mud to see what types of animals can be discovered. WANT TO GO? 845-351-5907. parks.ny.gov. WHEN: Sunday, May 5, 1pm WHERE: Storm King Art Center, Old Pleasant Hill Road (for GPS enter 1 Museum Road, New Windsor), Mountainville AGES: All WHAT: Explore the shapes, sounds, materials, and moving parts of Mark di Suvero’s large-scale sculptures and construct your own temporary sculptures. WANT TO GO? $18; $15 seniors ages 65 and older; $8 students and children ages 5-18; free for members and children younger than 5. 845-534-3115. stormkingartcenter.org. WHEN: Sunday, May 12, 1pm WHERE: Storm King Art Center, Old Pleasant Hill Road (for GPS enter 1 Museum Road, New Windsor), Mountainville AGES: All WHAT: Join the art collaborative Freestyle Arts Association in making hanging mobiles out of found branches, leaves, and stones. WANT TO GO? $18; $15 seniors ages 65 and older; $8 students and children ages 5-18; free for members and children younger than 5. 845-534-3115. stormkingartcenter.org. WHEN: Through Jan. 31, 2023: Thursdays, 11am-1pm WHERE: Martin Luther King Multi-Purpose Center, 110 Bethune Blvd., Spring Valley AGES: Newborn to 2, adult WHAT: A drop-in to meet and talk to new moms, learn how to make breast-feeding easier, make sure your baby is latching and gaining well, get tips on pumping and going back to work, and learn about other parenting topics. WANT TO GO? 914-922-2240. rocklandgov.com. WHEN: Wednesday, May 1, 10:30-11am and 1:30-2pm WHERE: Rose Memorial Library, 79 E. Main St., Stony Point AGES: 3-5 WHAT: Watch a preschool film, then use dot painting, stickers, or stamps to create a colorful, springtime decoration. WANT TO GO? 845-786-2100. rosememoriallibrary.org. WHEN: May 18-19, Saturday-Sunday, 10am-4pm WHERE: Aviation Hall of Fame & Museum of New Jersey, 400 Fred Wehran Road, Teterboro, NJ AGES: All WHAT: Get up close and personal with various aircrafts that will be on display. WANT TO GO? $12; $9 seniors and children. 201-288-6344. njahof.org. WHEN: Wednesday, May 22, 4:30-5:30pm WHERE: Haverstraw King’s Daughters Public Library, Main Library, 10 W. Ramapo Road, Garnerville AGES: 5-8 WHAT: Learn about our feathered friends, birds! Explore science and the world around you with hands-on stations, along with a discussion and a story. WANT TO GO? 845-786-3800. hkdpl.org. WHEN: Saturday, May 4, 1pm WHERE: Sloatsburg Library, 1 Liberty Rock Road, Sloatsburg AGES: 5-17 WHAT: Make some science-inspired crafts and enjoy one of the Star Wars movies. WANT TO GO? 845-753-2001. sloatsburglibrary.org. WHEN: Friday, May 10, 8-9:45pm WHERE: Dennis P. McHugh Piermont Public Library, 25 Flywheel Park W., Piermont AGES: All WHAT: Watch The Lego Movie. Popcorn will be served! WANT TO GO? 845-359-4595. piermontlibrary.org. WHEN: May 7-28, Tuesdays, 4:30-5:30pm WHERE: Haverstraw King’s Daughters Public Library, Village Branch, 85 Main St., Haverstraw AGES: 5-17 WHAT: Play the PS4 on the big screen! WANT TO GO? 845-429-3445. hkdpl.org. WHEN: Thursday, May 30, 6:30-8:30pm WHERE: Sloatsburg Library, 1 Liberty Rock Road, Sloatsburg AGES: 13-17 WHAT: See Dunkirk at the library. Real tickets, real concessions, and real fun! Bring a pillow or a blanket. WANT TO GO? 845-753-2001. sloatsburglibrary.org. WHEN: Tuesday, May 14, 6-7:30pm WHERE: Albert Wisner Public Library, 28 Railroad Ave., Warwick AGES: 9-12 WHAT: Can you unlock the boxes in time? Escape by solving puzzles and searching for and decoding clues. WANT TO GO? 845-986-1047. warwickchildrensbookfestival.org. WHEN: Wednesday, May 15, 6-7pm WHERE: JTS Community Center, 115 Torne Valley Road, Hillburn AGES: All WHAT: Bring the family out for a free night of fitness! WANT TO GO? 845-753-2324. ramapoparks.org. WHEN: Friday, May 3, 6-8pm WHERE: JTS Community Center, 115 Torne Valley Road, Hillburn AGES: All WHAT: Enjoy an evening of fun with a bounce castle, inflatable slide, bouldering wall, and bingo. Play for prizes! WANT TO GO? 845-753-2324. ramapoparks.org. WHEN: Friday, May 3, 6:30-7:45pm WHERE: Dennis P. McHugh Piermont Public Library, 25 Flywheel Park W., Piermont AGES: 3 and older WHAT: Kids can play bingo with an adult and enjoy snacks, prizes, and fun. WANT TO GO? 845-359-4595. piermontlibrary.org. WHEN: Sunday, May 5, 1-4pm WHERE: Rockland Center for the Arts, 27 S. Greenbush Road, West Nyack AGES: All WHAT: Meet the staff of Camp RoCA while enjoying a free art workshop for the entire family, touring the studio art facility and expansive grounds, and getting information about the camp program. WANT TO GO? 845-358-0877. rocklandartcenter.org. WHEN: Saturday, May 11, 3-6pm WHERE: Power House Dance Center, 71 Route 9W, Haverstraw AGES: 3-12 WHAT: There will be games, a bounce house, face painting, photos, and more. WANT TO GO? $30. 917-882-6660. partypackcrew.com. WHEN: Through May 20: Mondays, 10:30-11am WHERE: Rose Memorial Library, 79 E. Main St., Stony Point AGES: Newborn to 2 WHAT: Stop by the library for songs, rhymes, and stories for the littlest ones. WANT TO GO? 845-786-2100. rosememoriallibrary.org. WHEN: Friday, May 3, 5-9pm WHERE: Dwight D Eisenhower Middle School, 344 Calvin Court, Wyckoff, NJ AGES: All WHAT: Enjoy a night of fun, food, music, and games with some of the best food trucks in the area while raising funds to benefit Eisenhower Middle School 3R’s Day. WANT TO GO? $20 per family; $5 per person; free for children 5 and younger. dde.freeholdtwp.k12.nj.us. WHEN: Sunday, May 5, 10am WHERE: Veterans Memorial Park, Broadway and Third Avenue, Westwood, NJ AGES: All WHAT: Check out 120 exhibitors with arts, crafts, gifts, and an antique corner, as well as festival foods, cotton candy, ice cream, and more. WANT TO GO? 201-666-1340. pjspromotions.com. Ridgewood Chamber Annual Spring Sidewalk Sale Days FREE WHEN: May 16-18, 10am-10pm WHERE: The Ridgewood Chamber of Commerce, Downtown Ridgewood, Ridgewood, NJ AGES: All WHAT: Enjoy three days of experiencing Ridgewood with excellent shopping, discounts, and selections galore. WANT TO GO? 201-445-2600. ridgewoodchamber.com. WHEN: May 10-12, Friday-Saturday, 8pm; Sunday, 3pm WHERE: New Jersey Performing Arts Center, 1 Center St., Newark, NJ AGES: 5 and older WHAT: The Ailey company marks six decades of achievement and celebrating the human spirit with the New Jersey premiere of Rennie Harris’s Lazarus. WANT TO GO? $25 and up. 800-466-5722. njpac.org. WHEN: Sunday, May 12, 1:30pm and 5pm WHERE: Bergen Performing Arts Center, 30 N. Van Brunt St., Englewood, NJ AGES: Newborn to 5 WHAT: Daniel learns just what it takes to be king in an event filled with tigertastic fun, teaching the valuable lessons of kindness, helping others, and being a friend. WANT TO GO? $29 and up. 201-227-1030. bergenpac.org. and much more will be offered at excellent prices. WANT TO GO? 845-348-3268. nurseryschoolofthenyacks.org. WHEN: Sunday, May 19, 10am-5pm WHERE: Downtown Nyack, Main Street and Broadway, Nyack AGES: All WHAT: More than 300 exhibitors with arts, crafts, unique decor, and collectibles will be participating at this long-running fair. Expect festival foods, Nyack’s cafés, music, and a Kids Zone. WANT TO GO? 201-666-1340. acadaofnyack.com/nyack-street-fair. WHEN: May 26-28, Sunday-Tuesday, 10am-5pm WHERE: Sugar Loaf, 1371 Kings Highway, Chester AGES: All WHAT: Check out local stores, visiting arts and crafts artisans lining the streets, a variety of cultural and local authentic cuisine from food vendors, and live music all weekend. WANT TO GO? sugarloafnewyork.com. WHEN: Thursday, May 16, 7:30pm WHERE: Mayo Performing Arts Center, 100 South St., Morristown, NJ AGES: 5 and older WHAT: A classically trained violist and a violinist combine their classical training and hip-hop influences to create a distinctive multi-genre sound that is often described as “classical boom.” WANT TO GO? $29 and up. 973-539-0345. mayoarts.org. WHEN: Saturday, May 18, 3pm WHERE: Mayo Performing Arts Center, 100 South St., Morristown, NJ AGES: 5 and older WHAT: The Illusionists dazzle audiences of all ages with a powerful mix of the most outrageous and astonishing acts ever to be seen on stage. WANT TO GO? $49-$89. 973-539-0345. mayoarts.org. WHEN: Sunday, May 19, 7pm WHERE: Mayo Performing Arts Center, 100 South St., Morristown, NJ AGES: 5 and older WHAT: All the slime soaking, pie plastering, and booger busting will be hosted by the Double Dare legend himself Marc Summers! WANT TO GO? $49 and up. 973-539-0345. mayoarts.org. WHEN: Through May 4: See website for schedule WHERE: New Jersey Performing Arts Center, 1 Center St., Newark, NJ AGES: All WHAT: Known internationally for a nonstop array of beautiful dance, Shen Yun creates an immersive experience with enchanting orchestral music; colorful, authentic costumes; and high-tech animated backdrops. WANT TO GO? $85 and up. 800-466-5722. njpac.org. WHEN: Monday, May 6, 4pm WHERE: Mayo Performing Arts Center, 100 South St., Morristown, NJ AGES: 3-8 WHAT: Based on E.B. White’s loving story of the friendship between a pig named Wilbur and a little gray spider named Charlotte, Charlotte’s Web explores bravery and selfless love. WANT TO GO? $12-$15. 973-539-0345. mayoarts.org. WHEN: Monday, May 13, 7-8pm WHERE: Teaneck Public Library, 840 Teaneck Road, Teaneck, NJ AGES: 5-8 WHAT: Explorers Club is for children to imagine, discover, and create together. WANT TO GO? 201-837-4171. teanecklibrary.org. WHEN: Wednesday, May 1, 11am-12pm and 7-8pm WHERE: Teaneck Public Library, 840 Teaneck Road, Teaneck, NJ AGES: 3-8 WHAT: Celebrate the 100th anniversary of Children’s Book Week with a spring craft. WANT TO GO? 201-837-4171. teanecklibrary.org. WHEN: Mondays, May 6 and 20, 5-6pm WHERE: Haverstraw King’s Daughters Public Library, Main Library, 10 W. Ramapo Road, Garnerville AGES: 3-8 WHAT: Learn to make tacos! WANT TO GO? 845-786-3800. hkdpl.org. WHEN: Tuesday, May 21, 4:30-5:15pm WHERE: Haverstraw King’s Daughters Public Library, Main Library, 10 W. Ramapo Road, Garnerville AGES: 5-12 WHAT: Join to make sweet sugar cookies! WANT TO GO? 845-786-3800. hkdpl.org. WHEN: Friday, May 3, 3:30-4:30pm WHERE: Teaneck Public Library, 840 Teaneck Road, Teaneck, NJ AGES: 13-17 WHAT: Teens are welcome to join the library for crafting with comic books and to take home a free comic book. WANT TO GO? 201-837-4171. teanecklibrary.org. WHEN: Sunday, May 26, 1pm WHERE: Storm King Art Center, Old Pleasant Hill Road (for GPS enter 1 Museum Road, New Windsor), Mountainville AGES: All WHAT: Explore the natural wonders found in Mark Dion’s sculptures and create your own works of art in this hands-on workshop. WANT TO GO? $18; $15 seniors ages 65 and older; $8 students and children 5-18; free for members and children younger than 5. 845-534-3115. stormkingartcenter.org. WHEN: Tuesday, May 7, 4:30pm WHERE: Sloatsburg Library, 1 Liberty Rock Road, Sloatsburg AGES: 5-12 WHAT: This craft day recycles interesting everyday household items into a gift made with care. WANT TO GO? 845-753-2001. sloatsburglibrary.org. WHEN: Thursday, May 9, 6:30-7:30pm WHERE: Haverstraw King’s Daughters Public Library, Main Library, 10 W. Ramapo Road, Garnerville AGES: 9-12 WHAT: Make yourself or your mom a bracelet with safety pins and beads, just in time for Mother’s Day. WANT TO GO? 845-786-3800. hkdpl.org. WHEN: Through June 11: Tuesdays, 4-5pm WHERE: Teaneck Public Library, 840 Teaneck Road, Teaneck, NJ AGES: 13-17 WHAT: Join the library for a different activity each week. WANT TO GO? 201-837-4171. teanecklibrary.org. WHEN: May 16-June 13, Thursdays, 6:30-7:45pm WHERE: Haverstraw King’s Daughters Public Library, Main Library, 10 W. Ramapo Road, Garnerville AGES: 5-17 WHAT: Learn the basic sewing skills to get you started! Make a cool project to take home. WANT TO GO? 845-786-3800. hkdpl.org. WHEN: May 6-9, Monday, 7-7:45pm; Thursday, 4-5pm WHERE: Teaneck Public Library, 840 Teaneck Road, Teaneck, NJ AGES: 5-12 WHAT: After a story, build with Legos based on the book’s theme. WANT TO GO? 201-837-4171. teanecklibrary.org. WHEN: Through June 30: Saturday-Sunday, 1-3pm WHERE: Edward Hopper House Art Center, 82 N. Broadway, Nyack AGES: All WHAT: This workshop program gives families immediate access to high-quality art while offering insights into the exhibitions and local history. WANT TO GO? $7; $5 seniors; $2 students 17 and older; free for children 16 and younger. 845-358-0774. edwardhopperhouse.org. WHEN: Through Dec. 30: Mondays, 11:30am WHERE: Glaze, 34 Orangetown Shopping Center, Orangeburg AGES: 3-8 WHAT: Children enjoy 30 minutes of a new book each week, then paint a piece of pottery related to that story. WANT TO GO? $20. 845-359-9020. glazeartstudio.com. WHEN: May 11-12, Saturday-Sunday, 10am-6pm WHERE: The New York Botanical Garden, 2900 Southern Blvd., Bronx AGES: All WHAT: The most spectacular spring landscape New York City has to offer is the setting for live music, games, picnicking, and more. WANT TO GO? $30; $28 seniors 65 and older and students with valid ID; $18 children ages 2-12. 718-817-8700. nybg.org. WHEN: Saturday, May 25, 10:30am-12:15pm WHERE: Kings Park, Kings Highway, Congers AGES: All WHAT: See the parade step off across from Kings Park field by Ambulance Corp. WANT TO GO? 845-268-5831. vmacongers@gmail.com. WHEN: Monday, May 27, 11am WHERE: Village of Nyack, Artopee Way, Nyack AGES: All WHAT: The parade starts on Artopee Way and ends at Memorial Park, where a ceremony will be held. WANT TO GO? 845-358-0548. nyack-ny.gov. WHEN: Monday, May 27, 9am-12pm WHERE: Town of Ridgefield, 554 Shaler Blvd., Ridgefield, NJ AGES: All WHAT: The parade is followed by a Memorial Day Ceremony. WANT TO GO? 917-524-6561. patriotbrass.org. WHEN: Monday, May 27, 10-11am WHERE: Main Street, New City AGES: All WHAT: The New City Memorial Day Parade steps off from Higgins Funeral Home and concludes at the courthouse. WANT TO GO? 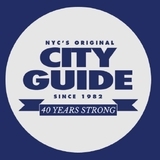 newcitychamber.com. WHEN: Monday, May 27, 11am-12pm WHERE: Rose Garden by Nanuet Train Station, Nanuet AGES: All WHAT: Commemorate our soldiers at the Nanuet Memorial Day Ceremony. WANT TO GO? nanuetchamber.com. WHEN: Monday, May 27, 12-1pm WHERE: Clarkstown Reformed Church, 107 Strawtown Road, West Nyack AGES: All WHAT: The parade starts in front of Clarkstown Reformed Church and ends at West Nyack Hamlet Green. WANT TO GO? nyackchamber.org. WHEN: Monday, May 27, 10am WHERE: 554 Piermont Ave., Piermont AGES: All WHAT: The parade will begin at the firehouse and runs to Memorial Park with concluding services to be held at Piermont Pier. WANT TO GO? piermontchamber.org. WHEN: Saturday, May 4, 7-10pm WHERE: Rockland Center for the Arts, 27 S. Greenbush Road, West Nyack AGES: Adult WHAT: View and buy art and enjoy wine, hors d’oeuvres, and live music, all while raising funds for the Blue Rock School and Rockland Center for the Arts. WANT TO GO? $55 VIP; $65 at the door; $25 Art Exhibition & Sale; $45 at the door. 845-358-0877. rocklandartcenter.org. WHEN: Sunday, May 5, 12pm check-in opens; 1pm the 3-mile Hike for Hope begins; 2-3pm Post-Hike festivities WHERE: Van Neste Square, East Ridgewood Avenue and South Walnut Street, Ridgewood, NJ AGES: All WHAT: Hike for Hope aims to raise funds for Family Promise programs empowering homeless working families. After, the 3-mile fun walk, enjoy music, food, and giveaways. WANT TO GO? $25 ages 11 and older; $10 children 6-10; free for children 5 and younger; prices increase by $5 on day of event. 201-8338009. bergenfamilypromise.org. WHEN: Saturday, May 11, 1:30-2:30pm WHERE: Albert Wisner Public Library, 28 Railroad Ave., Warwick AGES: 3-8 WHAT: Help plant herbs and veggies for future children’s cooking programs. Create plant markers from recycled materials. WANT TO GO? 845-986-1047. albertwisnerlibrary.org. area with special treats. WANT TO GO? 845-634-3391. centerforsafetyandchange.org/paws. WHEN: Saturday, May 18, 12pm WHERE: Cresskill High School, 1 Lincoln Drive, Cresskill, NJ AGES: All WHAT: Enter your pooch in contests, speak to professional trainers, enjoy the dog park, music, vendors, a bouncy house, and face painting. WANT TO GO? $5 per dog; $2 per person. cresskilleducationfoundation.org. WHEN: Thursday, May 2, 6:30pm WHERE: Sloatsburg Library, 1 Liberty Rock Road, Sloatsburg AGES: 5-12 WHAT: This program helps young readers build confidence by practicing reading out loud to a furry friend. WANT TO GO? 845-753-2001. sloatsburglibrary.org. WHEN: Saturday, May 4, 10am-4:30pm WHERE: Bergen County Zoo, 216 Forest Ave., Paramus, NJ AGES: All WHAT: See shearing demonstrations and enjoy crafts for children, story time, and spinning demos. WANT TO GO? $8; $5 children 3-14; $1 seniors 62 and older; Bergen County Resident: $4; $2 children 3-14; $1 seniors 62 and older; always free for active military and children younger than 3. 201-262-3771. co.bergen.nj.us. WHEN: Sunday, May 5, 2-3pm WHERE: Flat Rock Brook Nature Center, 443 Van Nostrand Ave., Englewood, NJ AGES: All WHAT: Meet Flat Rock Brook’s feathered ambassadors and learn all about their behavior, physiology, adaptations, and natural history. WANT TO GO? 201-567-1265. flatrockbrook.org. WHEN: Saturday, May 18, 1pm WHERE: The New Weis Center for Education, Arts & Recreation, 150 Snake Den Road, Ringwood, NJ AGES: 13 and older WHAT: Enjoy 40 minutes of vinyasa yoga with Eileen Yeager, and some goats! WANT TO GO? $30. 973-835-2160. facebook.com/totesgoatsnj. WHEN: Saturday, May 4, 11am-12pm WHERE: Teaneck Public Library, 840 Teaneck Road, Teaneck, NJ AGES: 3-8 WHAT: Following story time there will be a simple craft activity. WANT TO GO? 201-837-4171. teanecklibrary.org. WHEN: Wednesday, May 8, 4-5pm WHERE: Teaneck Public Library, 840 Teaneck Road, Teaneck, NJ AGES: 5-8 WHAT: My First Book Club will read a book in preparation for the meeting, discuss, and do crafts. WANT TO GO? 201-837-4171. teanecklibrary.org. WHEN: Thursday, May 9, 7-8pm WHERE: Haverstraw King’s Daughters Public Library, Main Library, 10 W. Ramapo Road, Garnerville AGES: All WHAT: Join drag performer Jazel Jazalien for stories and craft. WANT TO GO? 845-786-3800. hkdpl.org. WHEN: Saturday, May 11, 11-11:30am WHERE: Havertsraw King’s Daughters Public Library, Main Library, 10 W. Ramapo Road, Garnerville AGES: Newborn to 5 WHAT: Enjoy stories, fingerplays, songs, and bubbles! WANT TO GO? 845-786-3800. hkdpl.org. WHEN: Wednesday, May 15, 4-5pm WHERE: Teaneck Public Library, 840 Teaneck Road, Teaneck, NJ AGES: 5-8 WHAT: The club will read a book in preparation for the meeting, discuss, and enjoy related games or activities. WANT TO GO? 201-837-4171. teanecklibrary.org. WHEN: Thursday, May 16, 6:30-7:30pm WHERE: Dennis P. McHugh Piermont Public Library, 25 Flywheel Park W., Piermont AGES: 5-12 WHAT: Head to the library with friends and discuss your favorite books and enjoy snacks. WANT TO GO? 845-359-4595. piermontlibrary.org. WHEN: Through May 21: Mondays, 11-11:30am and 7-7:30pm; Tuesdays, 11:30am-12pm WHERE: Haverstraw King’s Daughters Public Library, Main Library, 10 W. Ramapo Road, Garnerville AGES: Newborn to 5 WHAT: Check out fun stories, finger plays, songs, and bubbles for walkers. WANT TO GO? 845-786-3800. hkdpl.org. WHEN: Through May 21: Tuesdays, 10:30-11:15am and 1:30-2:15pm WHERE: Rose Memorial Library, 79 E. Main St., Stony Point AGES: 3-5 WHAT: Preschoolers will enjoy fun stories, songs, and make a craft to take home. WANT TO GO? 845-786-2100. rosememoriallibrary.org. WHEN: Through May 21: Tuesday, 10am and 11am WHERE: Teaneck Public Library, 840 Teaneck Road, Teaneck, NJ AGES: Newborn to 2 WHAT: Free play follows story time. WANT TO GO? 201-837-4171. teanecklibrary.org. WHEN: May 2-23, Thursdays, 4:30-5:30pm WHERE: Dennis P. McHugh Piermont Public Library, 25 Flywheel Park W., Piermont AGES: 3-8 WHAT: Listen to some books and make an easy craft. WANT TO GO? 845-359-4595. piermontlibrary.org. AGES: Newborn to 5 WHAT: Enjoy old and new favorites at this family story time. WANT TO GO? 201-837-4171. teanecklibrary.org. WHEN: Through May 25: Saturday, 10-11am WHERE: Teaneck Public Library, 840 Teaneck Road, Teaneck, NJ AGES: Newborn to 5 WHAT: Read stories, sing, do movement activities, and have a great time. WANT TO GO? 201-837-4171. teanecklibrary.org. WHEN: Through May 29: Wednesdays, 3-4pm WHERE: Teaneck Public Library, 840 Teaneck Road, Teaneck, NJ AGES: 3-8 WHAT: Children are invited to a fun story time. WANT TO GO? 201-837-4171. teanecklibrary.org. WHEN: May 3-31, Fridays, 10:30-11:15am WHERE: Haverstraw King’s Daughters Public Library, Main Library, 10 W. Ramapo Road, Garnerville AGES: 3-8 WHAT: Enjoy stories and songs, sensory story time with cool activities, fun with nonfiction, and more! WANT TO GO? 845-786-3800. hkdpl.org. WHEN: Thursday, May 23, 6-7pm WHERE: Dennis P. McHugh Piermont Public Library, 25 Flywheel Park W., Piermont AGES: 5-8 WHAT: Young readers are welcome for book club and cookies. WANT TO GO? 845-359-4595. piermontlibrary.org. WHEN: Through May 23: Thursdays, 10:30-11am WHERE: Rose Memorial Library, 79 E. Main St., Stony Point AGES: Newborn to 2 WHAT: Bring in your little walker for fun stories, rhymes, songs, and bubbles. WANT TO GO? 845-786-2100. rosememoriallibrary.org. GREAT DEALS? Saving money on a New York City family day is easy! WHEN: Through May 23: Thursdays, 11:30am-12pm WHERE: Rose Memorial Library, 79 E. Main St., Stony Point AGES: 3-5 WHAT: Bring your toddler in for felt stories, finger plays, a short book or two, and bubbles! WANT TO GO? 845-786-2100. rosememoriallibrary.org. WHEN: Through May 23: Thursdays. 11am-12pm WHERE: Teaneck Public Library, 840 Teaneck Road, Teaneck, NJ AGES: Newborn to 2 WHAT: Read simple and interactive stories and rhymes, sing songs, and do fingerplays. WANT TO GO? 201-837-4171. teanecklibrary.org. Rockland Lake State Park 299 Rockland Lake Road, Valley Cottage (pool entrance: 153 Rockland Lake Road) 845-268-3020 Hours: Daily, dawn to dusk Admission: Free. Pool: $3. Parking is $8 through late October. Rockland Lake State Park’s lake is located on a ridge of Hook Mountain, above the west bank of the Hudson River. It is home to many species of fish, including largemouth and smallmouth bass, and birds such as eagles, water birds, and songbirds. The park has a 3.2-mile bicycle path. The pool is slated to open May 27 and will be open weekends and holidays through Sept. 4. Pets are not permitted through Sept. 30. Edward Hopper House Art Center 82 N. Broadway, Nyack 845-358-0774; edwardhopperhouse.org Hours: Wednesday-Sunday, 12-5pm, or by appointment Admission: $7, $5 seniors; $2 students 17 and older; free for children 16 and younger This nonprofit art center is the birthplace of renowned American artist Edward Hopper (1882-1967). The center boasts an archive of Edward Hopper documents and memorabilia and hosts rotating art exhibits. Guided tours are offered on weekends or by appointment. Visit the website for a calendar of upcoming events and children’s workshops. Auntie Els Farmer Market 171 Route 17, Sloatsburg 845-753-2122; facebook.com/auntie.els Hours: Monday-Wednesday, 8am-6pm; Thursday-Sunday, 8am-7pm Those with a green thumb and a sweet tooth may enjoy this quaint farmers’ market. While the outside is decorated with shrubs, greenery, and flowers, the bakery has its own little building all to itself. The main store is in a separate building in which you can also find antique items. And don’t be frightened by the St. Bernard guard dog—according to past visitors, he’s very friendly! 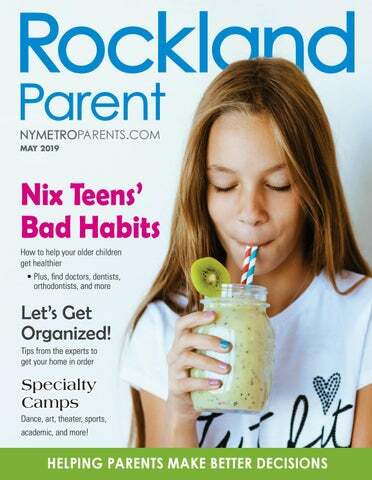 NYMetroParents.com/submitevent All entries subject to editor’s review and acceptance. Announce it to more than 100,000 parents who are visiting NYMetroParents.com every month. Be featured on the largest family activities Calendar in the metropolitan New York area. 58 Oak Colony Road, Stony Point 845-624-3868 venturerockland.org/programs/summer-camp Camp Venture is proud to offer a summer day camp for all children, but specializing in providing kids with special needs a unique camping experience. Our one- to seven-week integrated camp is a fun, nurturing place for Rockland children with intellectual/developmental disabilities. Activities include swimming, art, and noncompetitive sports. Morning and teen programs available. 103 S. Greenbush Road, Orangeburg 845-826-2623 childrensshakespeare.org childrens.shakespeare@gmail.com Summer Session of The Children’s Shakespeare Theatre is an excellent opportunity to get a taste of what we do. Daily work in voice, stage combat, and acting gives young actors confidence and training to do any type of theater. Lots of games and outdoor fun too! Culminates in a full outdoor performance. 33 S. Broadway, Nyack 845-643-3075 rocklandymca.org Located in the YMCA building in Nyack, for ages 5-12. Carefully planned camp with themed camp weeks, swimming twice per day, swim lessons at no charge, art and crafts, outdoor activities, and trips. Register before June 1 for early bird pricing. 28-29 Orangetown Shopping Center, Orangeburg 845-580-9065 rompnroll.com orangeburg@rompnroll.com Our kid-tested and -approved camps are the perfect place for your little one to play (and learn)! A new theme each week. Kids experience art, music, and movement with fun, energetic, and experienced instructors. For kids ages 2-5, no potty training required, snack and drink provided daily. 248 Herbert Ave., Closter, NJ 201-784-7600 x3 palisadescountryday.com It’s all about fun at Palisades Country Day Camp in Closter, NJ. Bergen County’s No. 1 summer day camp for toddlers to second-graders ensures every child has the opportunity to grow socially, emotionally, physically, and intellectually. Campers enjoy three heated pools, two splash parks, a triple-decker playground, and amazing daily activities. 34 Lauer Road, Poughkeepsie 845-485-8438 sproutcreekfarm.org camps@sproutcreekfarm.org Weekly day and sleepover camps for ages 5-14, from June 24– Aug. 16. Our STEAM camps are ‘SEED-to-table’ experiential adventures! Explore a life-changing encounter fostering an appreciation for the earth, its beings, and our responsibility for its care. Located just off the Taconic State Parkway in the scenic Hudson Valley. Amy Alinkofsky, camp director 27 S. Greenbush Road, West Nyack 845-358-0877 x18 rocklandartcenter.org amy@rocklandartcenter.org RoCA features one of the region’s most comprehensive art programs. At Camp RoCA, with guidance from teaching artists, campers explore various art forms in studio-based activities in which they learn cooperation, personal development, and self-esteem. Available three or five days a week for two, four, six, or eight weeks. July 1-Aug. 23. 21 Pralle Lane, Nanuet 845-623-3636 westrockindoor.com Our All Sports and Basketball Camps feature fun-filled instruction, sports, and games. Campers will improve their conditioning and sports skills in our state-of-the art, airconditioned facility featuring six Har-Tru tennis courts, two regulation-size basketball courts, and indoor turf fields. Offering flexible schedules, extended hours, multiweek discounts, and lunch options. Gym, Art, & Music for Kids 5 & Under SUMMER CAMP NOW ENROLLING! Invite Fudgie or Mystique to your next party, picnic, or event! A professional family entertainer specializing in magic, face painting, and balloon animals. Ask about midweek special rates. Fully insured. INFLATABLE PARTY ADVENTURES Serving Rockland, Northern New Jersey, Westchester 845-267-2022 inflatablepartyadventures.com Premier, state-of-the-art inflatables and entertainment equipment at a price that can’t be beat. Every rental includes our risk-free rain policy. We specialize in delivering the type of fun guaranteed to make your next event one to be remembered and talked about for years to come. Our fabulous birthday and themed parties include more than just your favorite characters. We also decorate, and entertain your party guests to make your moments of celebration unforgettable! Tilly...A Deer’s Tale is about a real deer that lives in upstate New York and faces challenges after an accident. This powerful story is meant to inspire children living with physical challenges or limitations. The book makes a great birthday gift! Looking for the perfect birthday gift? Come visit our unique toy store in Pomona. We offer a great selection of Melissa & Doug crafts and many other quality, affordable, educational toys, crafts, games, and puzzles for kids of all ages, both boys and girls. Paint, slime, draw, fun, clay, and glitter are all the cool things we do at our studio! Abrakadoodle has been serving the community for more than 13 years offering Artie Parties and “no school Workshops” for ages 3 and older. A karate party is a great way to enter the world of martial arts. It’s also a great way for experienced students to share the martial arts with friends and family. Spacious, fully equipped facility; an energetic, cheerful, and professional staff; and martial arts-themed fun and games. Bach to Rock offers birthday parties for kids of all ages and adults. Call to find out more about The Rock Birthday Party, Karaoke Birthday Party, and The Rock City Birthday Party! We offer a fully equipped ceramics and plaster studio where children and adults let their creativity run wild. Parties for kids include paper goods, a painter’s hat for the birthday child signed by their friends, and an item for each child to paint. We are well known for our great birthday party packages and offer Glow Bowling for Sunday parties. All parties include bowling, shoe rental, food, paper goods, invitations, setup, and cleanup. creative pancakes, delicious appetizers, burgers, salads, and comfort food favorites with gluten-free options and vegetarian choices. Be our guest for breakfast, lunch, or dinner—seven days a week. PALISADES CLIMB ADVENTURE 4590 Palisades Center Drive, Level 4 of the Palisades Center, West Nyack 845-727-3500 palisadesclimb.com Palisades Climb Adventure offers the world’s tallest indoor ropes challenge course with 75 unique challenge elements. Our Sky Tykes kids’ ropes course is designed for ages 2-7. Both courses are available for birthday parties. Book your party today! info@rocklandfencersclub.com Rockland Fencers Club is excited to announce its new Private Fencing Party Package for ages 8-16. No experience required and all necessary equipment included. Our awesome parties for kids ages 1-6 include exclusive use of gym and party room, moon bounce, rock wall, monkey bars, and bubble party. Plus, games, music, and activities! Let us host a fun and customizable birthday party for your child and their friends at Surge Dance Studio. Parties consist of games, activities, pictures, choreography to the birthday guest’s favorite song, and, of course, pizza and cake! Our bright, colorful facility is the perfect place for your child’s private birthday party (ages 1-12). We’ll provide two wonderful, exciting, and energetic party instructors. Also, free invitations, paper products, and utensils. The birthday child receives a free gift and balloons. Reserve in advance. They book quickly! Venture Equestrian Center is the perfect spot for your child’s riding birthday party! We offer a year-round, indoor/outdoor arena, with a private party room overlooking the ring. We offer great birthday parties for boys and girls of all ages with a variety of themed options such as Hip-Hop Dance Party and Games Mix, Jumping Gymnastics, Disney Dance Mix, and Dress-up Princess Party! 1 hour of games and activities of your choice in our 7000-square-foot Sports Zone, plus private party room, pizza, and drinks. West Rock offers the ultimate place to hold your birthday party. Our unique and versatile facility boasts 40-foot ceilings, 26,000 square feet of turf, two regulation-size basketball courts, six HarTru tennis courts, indoor bouncers, and private party room. For an Amazing Ramaswamy Smile call for a FREE consultation! Dr. Crohn graduated from SUNY Stony Brook with a degree in biology. He received his Doctor of Dental Surgery from the University at Buffalo in 1992, and he completed his general practice residency at Danbury Hospital in 1993. Dr. Crohn has done extensive additional training in implant dentistry including training with Dr. Nick Elian at Vistara Institute, DentalXP Symposiums, and training at Zimmerman Institute. Dr. Crohn is a Fellow of the International Congress of Oral Implantologists. He offers state-of-the art treatment including on-site cone beam 3-D imaging. Dr. Marita Smith is a board-certified pediatric dentist dedicated to providing excellent dental care for children from infancy through adolescence in a warm and friendly environment. As a mother of two, Dr. Smith knows how important it is for a child to be comfortable and stress-free during their dental visits. Dr. Smith places great focus on prevention and her goal is to keep your child’s smile healthy! Most insurances accepted. Evening and Saturday hours and 24-hour emergency service available. Se habla Español. With 17 years of orthodontic experience, Dr. Brett Kastin prides his practice on conservative early treatment and cost-free childhood dental monitoring, enabling the most effective treatment possible, as well as being a knowledgeable, compassionate clinician and friend. He utilizes state-of-the-art materials and customized treatment. Dr. Kastin is a certified Invisalign® provider, has been president of the Rockland County Dental Society since 2006, and was voted Rockland’s “Top Orthodontist” by the dentists of Rockland County for the past 10 years. Initial exams are complimentary, as are children’s recall appointments. Dr. David Schaumberger is one of the pediatricians working out of our newly expanded Park Ridge office. As someone who lives nearby, he enjoys working in Northern Bergen and Rockland counties. Dr. Schaumberger completed his pediatric residency from the Mount Sinai School of Medicine in New York and has been working at Tenafly Pediatrics since 2001. On a personal note, he enjoys ethnic cuisine and spending time with his three children. Tenafly Pediatrics is a recent Angie’s List Winner with offices conveniently located throughout Bergen County. At A&R Advanced Dental Group, patient satisfaction and comfort is our No. 1 priority. We are a cutting edge practice that delivers state-of-the-art dental care to our patients. Dr. Roman Izmailov and Dr. Anna Alekseyeva have more than 30 years of experience in all phases of dentistry, including high quality and affordable dental implants, zirconia crowns, porcelain veneers, fixed bridges, root canal treatments, teeth whitening, and composite fillings. Evening appointments are available, and we accept most insurances. At Sachdev Family Orthodontics, we provide individualized braces and Invisalign treatment to kids and adults. Dr. Ameeta Sachdev has been in the dental field for two decades with dual dental degrees from India and U.S. She teaches orthodontics at St. Barnabas Hospital, Bronx. She pays attention to detail, whether it is designing the state-of-the-art office herself or perfecting your smile. Being committed to serve, she is an active supporter of community events and local art. Free consults, most insurance accepted, evening and Saturday hours, and 24-hour emergency service available. Dr. Kiwon Lee received his D.D.S. degree from Columbia University and completed his residency at New York-Presbyterian/Columbia University Medical Center. Dr. Lee is a fellow of the International Congress of Oral Implantologists. He is also a Diplomate of the American Academy of Dental Sleep Medicine. Dr. Kiwon Lee is well-recognized in the industry as one of the most experienced dental sleep medicine providers, having successfully managed more than 500 obstructive sleep apnea patients during his career and being featured as an expert on American Health Front on WCBS-TV, CBS, Channel 2. Crystal Run Healthcare is a premier, multispecialty group medical practice with more than 400 providers, offering the convenience of Primary Care and nearly 50 medical specialties. Our state-of-the-art West Nyack facility offers patients easy access to quality health care with more than 20 medical and surgical specialties, including adolescent medicine, pediatrics, maternal-fetal medicine, obstetrics and gynecology, including urogynecology. Our innovative facility boasts an Infusion Center, Urgent Care, diagnostic testing services, on-site laboratory services, diagnostic imaging, and women’s imaging. Crystal Run also has offices in Haverstraw, Stony Point, and Suffern. At Smile More Kidz, we are part of a local tradition of providing children with the very best that dentistry has to offer in a friendly, comfortable setting. Our entire team understands how children develop and learn, and makes sure nervous kids feel comfortable and respected. We welcome patients with special needs, and we offer 8am–7pm and Saturday appointments, so patients don’t have to miss school for their care. We believe in building a foundation for a lifetime of healthy smiles by making every visit to our office a fun and informative experience. Dr. Tommy Lee specializes in pediatric dentistry. He treats patients from infancy to adolescence, including children with special needs. Understanding that many dental phobias develop in early childhood, Dr. Lee will take great care to ensure your kids grow up with a positive outlook on oral health. Even the most nervous child will leave with a healthier smile under Dr. Lee’s care. Dr. Lee earned his Doctor of Medicine in Dentistry degree at Boston University and completed his pediatric dental specialty training at Yale School of Medicine. Most major insurance accepted. Dr. Alpert is excited to offer drill-free, needle-free dentistry with the Solea CO2 Laser. Her practice offers comfortable cosmetic dentistry for the entire family including implants and full mouth reconstruction if necessary. Dental Wellness of Suffern provides natural, effective, quality dental care to make your visit as enjoyable, comfortable, and relaxing as possible. A parent herself, Dr. Alpert enjoys working with children who are apprehensive about the dentist, creating a fun environment with magic tricks, a wall mural, and a Find the Dental Helpers game. Our state-of-the-art office specializes in helping kids, teens, and adults achieve a beautiful smile with orthodontic solutions tailored to suit each patient’s lifestyle and personal preferences. All work on our patients is expertly provided by Dr. Ramaswamy and not delegated to auxiliaries. Dr. Ramaswamy believes this is the best way to reduce emergencies, decrease treatment time, and ensure the best treatment outcome. We stay on the cutting-edge of orthodontic treatments by attending continuing education courses every year to ensure the best care possible. Invisalign certified. Most insurance accepted. PARTY & CREATIVE FUN SPECIALISTS! Looking for the perfect birthday gift? Come visit our Unique Toy Boutique! Mention this ad for 15% OFF! We offer over 7,000 games, toys, crafts, puzzles, gadgets and NEW specialty balloons. Invite Fudgie or Mystique to your next party! and other ideas to create the ideal party in our online Parent Resources Directory. When illness or injury strike, choose Crystal Run Urgent Care. Crystal Run Urgent Care is open 7 days a week, 365 days a year and offers seamless access to 50+ specialties – for easy referrals to the right expert if you need specialized or follow-up care. When you need immediate medical care for yourself or your family, you shouldn’t have to choose between quality or convenience. At Crystal Run Urgent Care, you’ll receive high quality care from top-rated providers who treat everything from strains, sprains and breaks, to fevers, coughs and colds. We offer easy access to accredited walk-in and extended-hour medical care, in five convenient locations, plus diagnostic imaging and labs onsite — so you’ll never feel like your sacrificing quality for convenience. The difference is clear, come see for yourself.